you should take the 3.5 off so it becomes 100% symmetrical. leaving it on makes it look like you just quit half way through the job. other then that, it looks great!! +1 on what you just said. I think he needs to take that 3.5 off. Looks good, do your thing bro! What brand tint is that? Looks light up by the dot matrix on the rear what happened there? It looks lighter in the bright light because you're seeing the outline of the rear window heating element which is between the glass and tint! Last edited by KCMAXX; 05-04-2011 at 07:15 AM. I totally agree. That stuff can wait, I personally think it's better to see a ride that gradually grows than everything happening all at once. In for pics when you decide to start crossing stuff off of your mods list. You should leave the numbers, but reverse them. 5.3 will scare off the VTechs without even a fight. Losing the 3.5 would really clean it up and make it look finished. just bought mine and I'm getting ready to do the same thing. Looks good. I wish I had bought a 07-08. I got the 06. Front end doesn't look is clean as the newer ones. The Texas law just changed the damn tint percentage recently. We use to go dark dark here. 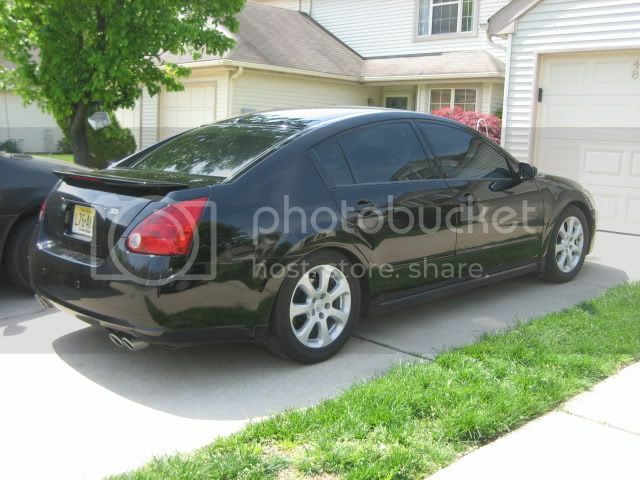 I Wanna debadge my 07 Maxima as well, looks clean (if 3.5 was removed) but I'm too proud of it. I like to let people know what it is. So I'm still debating on if I should or shouldn't.... it definitely looks good without it though. I agree, remove the 3.5 badge. Keeps an even look. 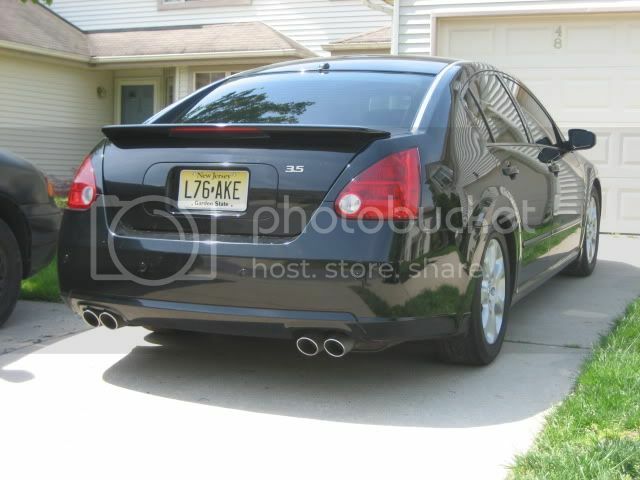 looks good, im thinking as well of debadging mines, but how its done? is it a 3m tape and what else can you do when its off to clean the sticky part? If your using fishing line. Start with a sawing motion on one of the of the emblem and work your way through it. As for your other question, yes it's a adhesive type tape that's holding it on there. BUT, it also depends on what you have. If you have a trunk lid then the burger is held on there with bolts. You can clean the remaining adhesive off with the goo gone. Use some soap and water to immediately clean it off and dry it with a terry cloth. Or else it'll damage the paint. Once your done with that then use some polish and wax to protect the paint since it's exposed to the elements now. Last edited by 6.5affiliate; 05-15-2011 at 11:28 PM. THANKS FOR THE FEEDBACK!! WILL DO! 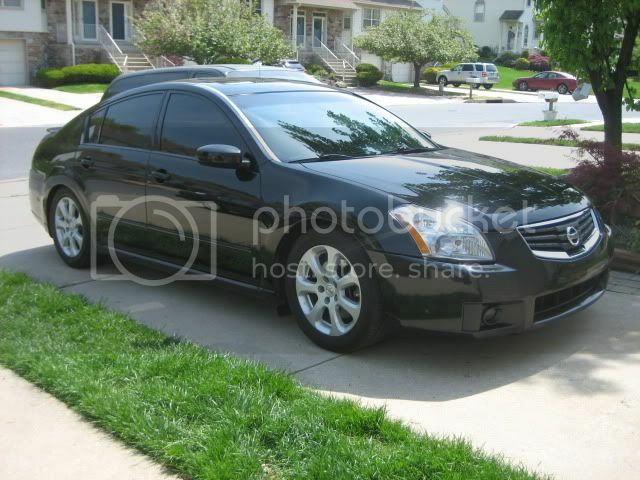 Yeah i think i might take all that of from my maxima soon too i just got it like 1 month ago but time will tell. Bringing my 1996 Maxima back to the road after 8 years.